Two words that almost rhyme: a harmony of sounds that becomes a harmony of purpose. A natural connection that we have decided to openly embrace: in 2018 we became Ambassadors of Donizetti, patrons of Italian culture and art, which we have always supported with our work: jewellery that brings the value of Italian know-how par excellence all over the world. The Donizetti Festival is an international opera festival that takes place every year in Bergamo. It not only includes a full program of events dedicated to the great composer, but is a real moment of collective mobilisation in the city, an extraordinary birthday party organised for one of the greatest composers of all time. In addition to supporting the event as Ambassadors, we had the pleasure of seeing our jewellery worn by an exceptional testimonial, the soprano Jessica Pratt. 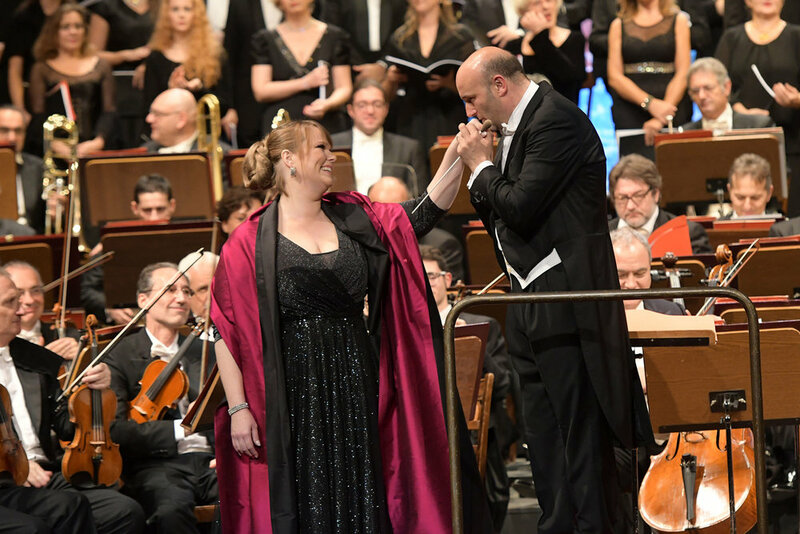 During the inaugural Gala with the RAI National Symphony Orchestra conducted by Riccardo Frizza, Jessica Pratt sang while wearing the new D'orica jewellery collection. Hailed by the New York Times as a soprano “with a shimmering sound, easy and relaxed high notes, agile coloring and delicate lyrical grace”. Jessica Pratt is one of the main interpreters of the most difficult Belcanto repertoire. An English native, she grew up in Australia and currently lives in Italy, where she prepares her roles with Lella Cuberli. As one of the most active singers in her field, Jessica Pratt has faced one hundred and six productions interpreting thirty-nine roles since her debut in 2007, with the most popular being that of Lucia Ashton from the opera Lucia di Lammermoor by Gaetano Donizetti. Ms. Pratt's schedule has included performances at opera theatres and festivals around the world such as Arena di Verona, Deutsche Oper, Los Angeles Philharmonic, Opernhaus Zürich, Royal Opera House Covent Garden, Teatro "La Fenice", Teatro alla Scala, Teatro di San Carlo, The Metropolitan Opera and Théâtre des Champs-Elysées. Ms. Pratt is the winner of numerous international vocal competitions. In May 2013 she was awarded the prestigious international prize for coloratura sopranos La Siola d'Oro “Lina Pagliughi”. In September 2016 she was awarded the “Oscar della Lirica”, International Opera Award as Best Soprano of the year. Wearing D’orica jewels is very exciting for me.